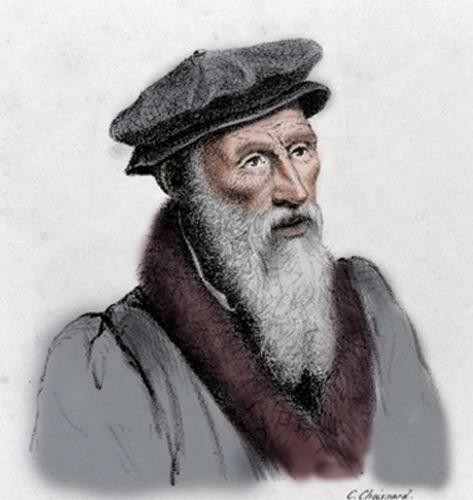 Pierre Valdo started the Waldenses movement, which spread throughout southern Europe. Pierre Valdo,Vaudès or Valdès was a rich merchant from Lyons, who, deeply touched after reading the Gospel, sold all his goods in order to lead a simple life of poverty, as a preacher. He had a translation of Biblical texts made into vernacular language. He had many followers, called Waldenses. Valdo did not manage to get permission from the pope for lay people to preach. The Waldenses were excommunicated at the council of Verona (1184). In spite of persecution, the Waldensian movement continued to expand in France, Italy, Germany and as far as Hungary and Poland. 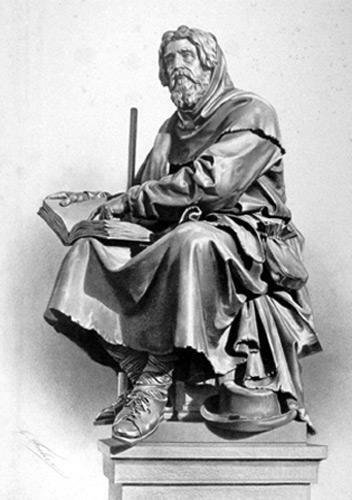 they believed in travelling preachers : preaching was carried out by laymen called « Barbes » (« uncle » in piedmontese, that is to say, an elder). They were unmarried. They had trades which forced them to travel frequently. Because of persecution, preaching was done in private houses and not in the public square. However, the Waldenses took part in mass and the sacraments of the catholic Church. In 1526 the elders, gathered together in a synod, decided to send two delegates to Switzerland and Germany to enquire into Luther’s new doctrines. They came back with books by Luther and Zwingli. Other envoys were sent in 1530 to Reformers in Neuchâtel, Berne, Basel and Strasbourg, with a questionnnaire. The replies of d’Oecolampade and Bucer are well-known. participation in the mass and Catholic sacraments. In 1532, at the synod of Chanforan, in the Waldensian valleys, the reformer Guillaume Farel was present. His influence was decisive. He made the synod take a definite stand in favour of the ideas of the Reformation. The itinerant ministry of the preachers was stopped. Most preachers became pastors and the places they visited became centres for reformed churches. At the same time, the synod of Chanforan decided to spend 500 gold crowns on a translation of the Bible into French, which was entrusted to Olivétan. Although they have been badly persecuted in the past, especially during the massacre in the Luberon area in 1545, there are Waldensian communities which still exist in the alpine valleys and in Italy today. They have even developed as far away as Uruguay. The Waldensian Churches have belonged to the Ecumenical Council of Churches since its foundation.